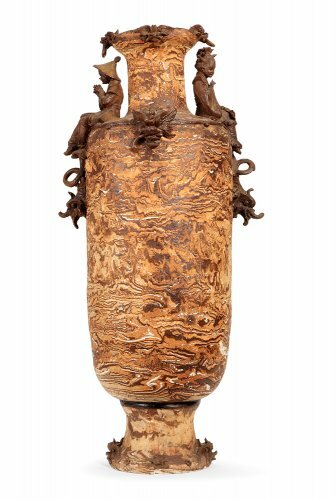 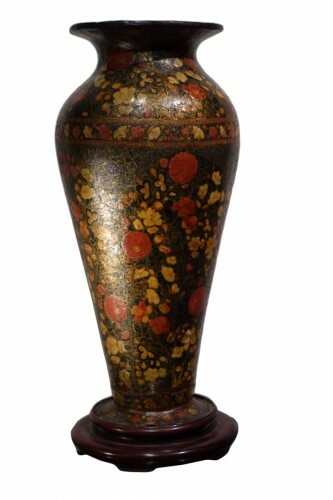 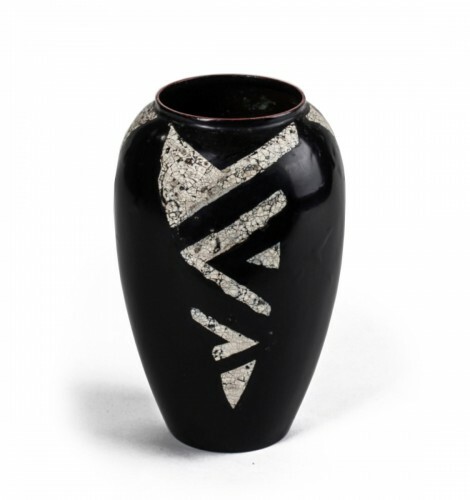 Lacquered Vase, Kashmir, India 19th Century. 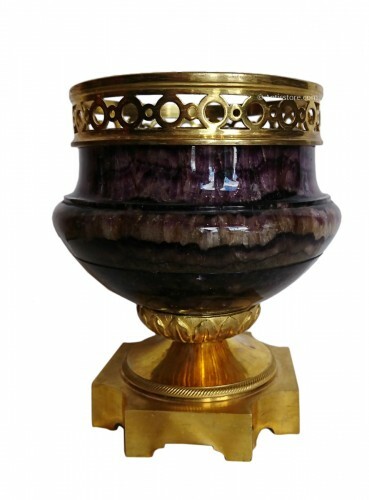 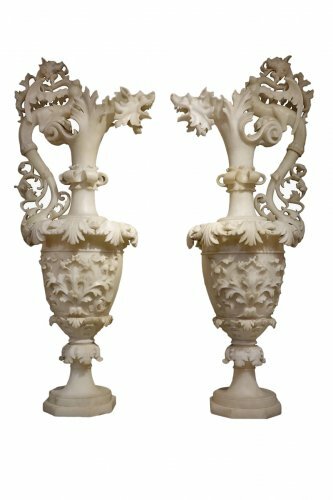 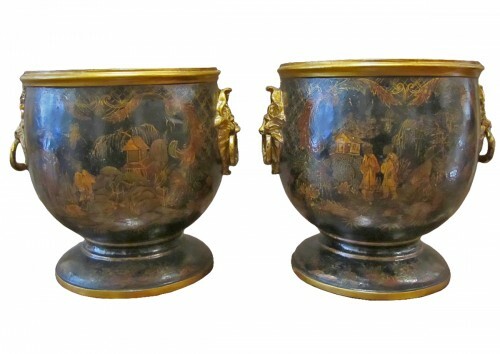 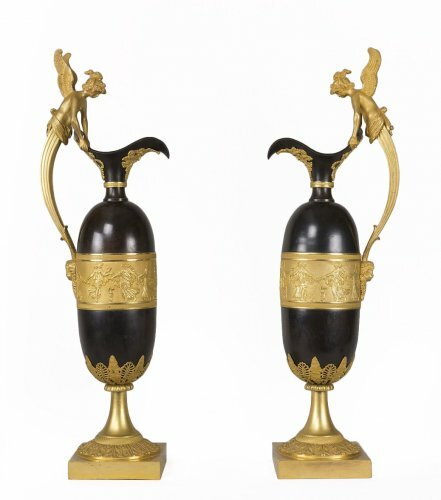 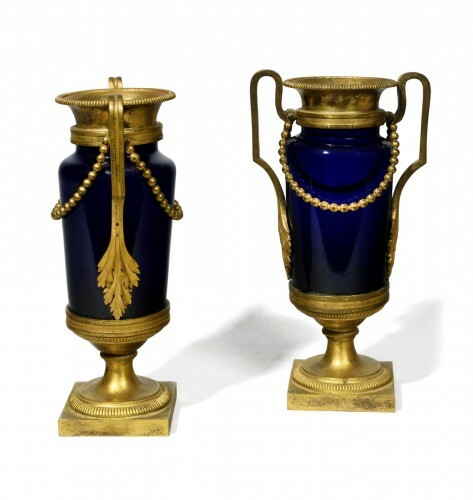 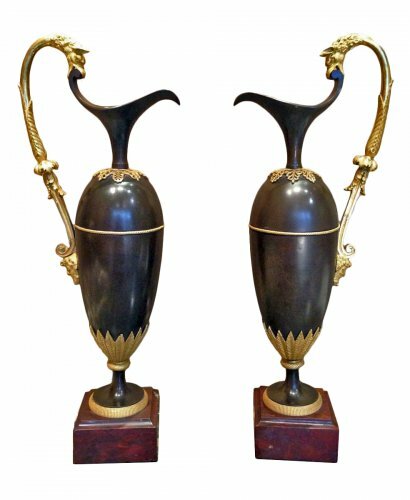 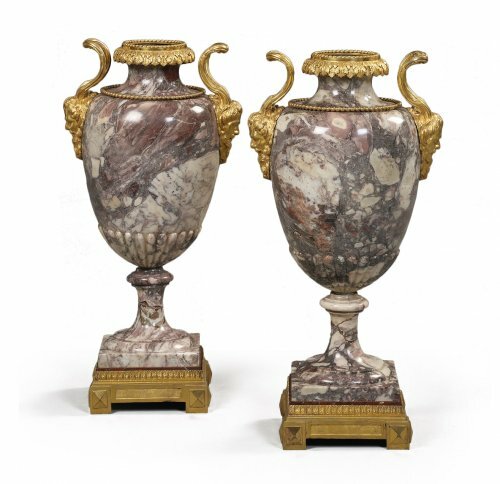 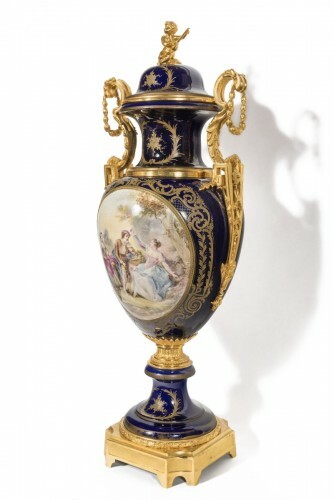 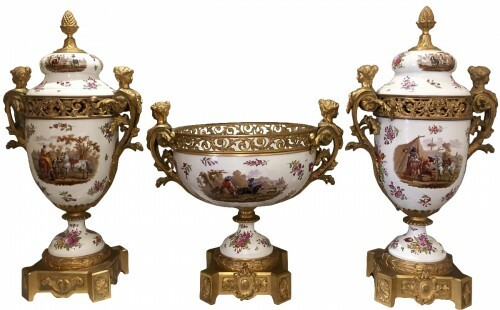 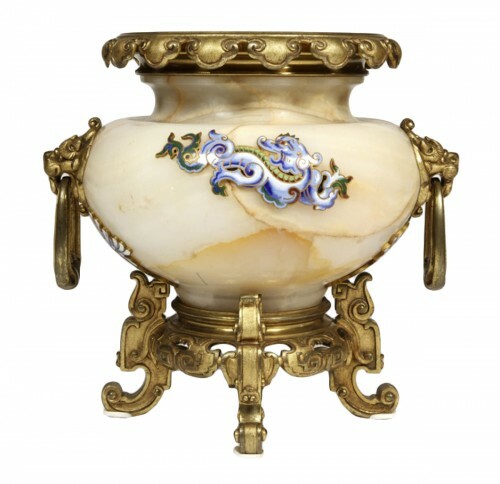 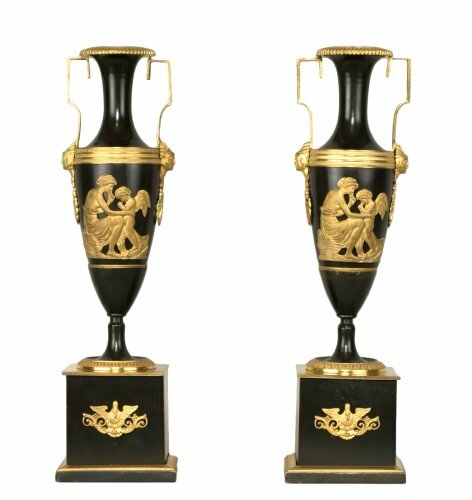 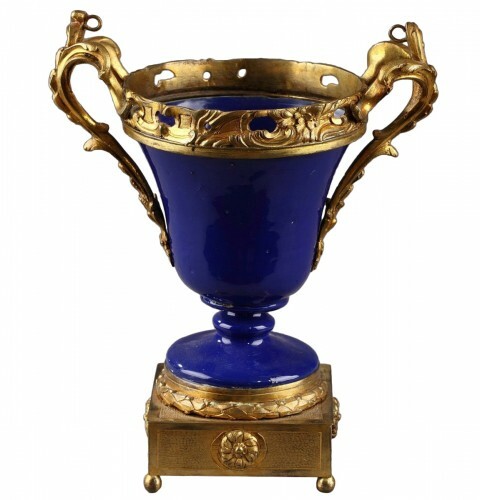 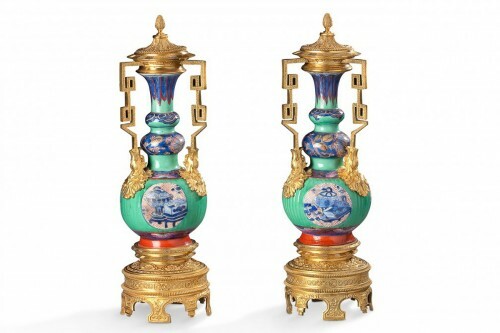 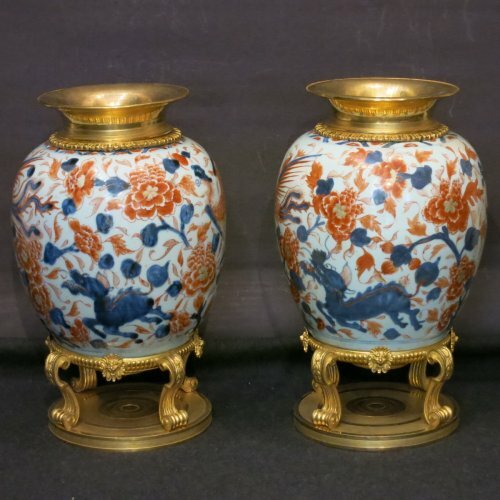 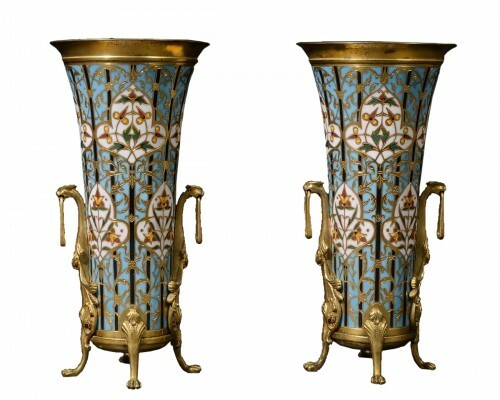 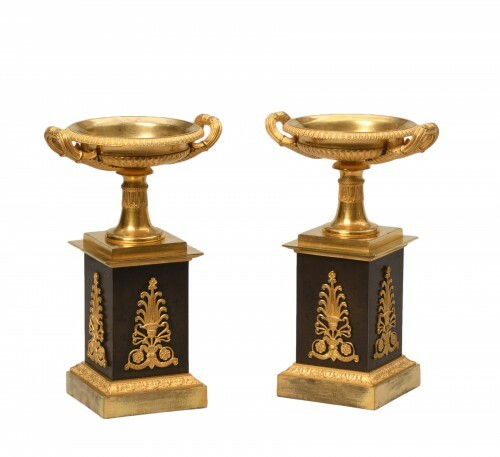 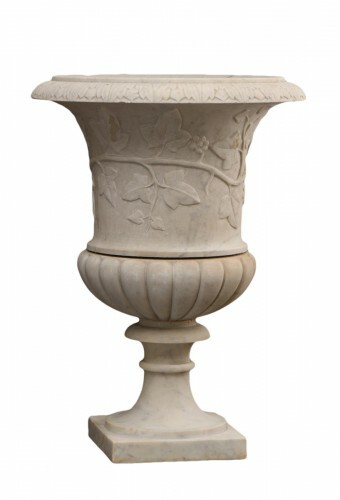 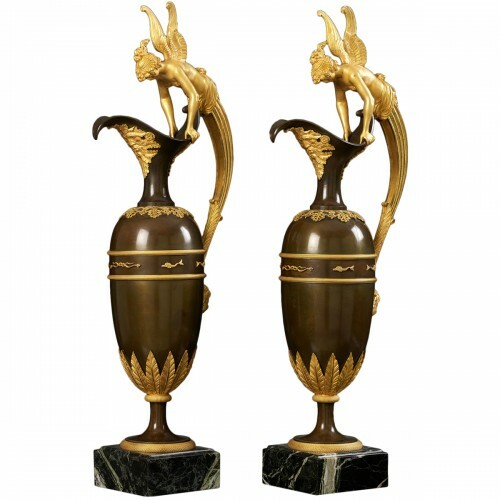 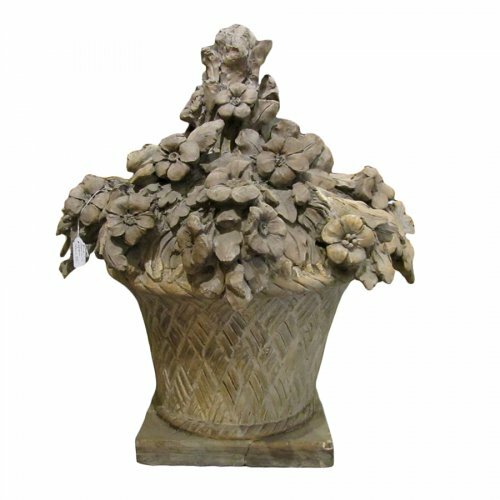 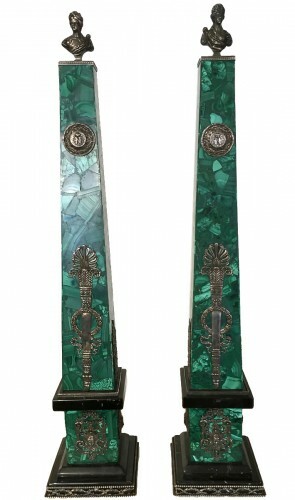 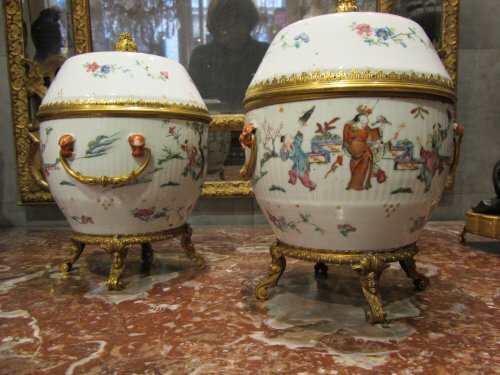 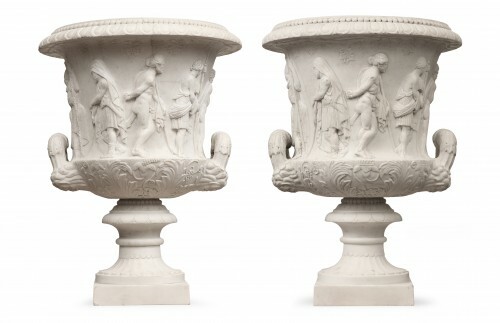 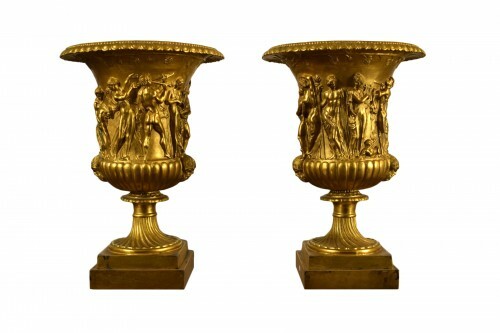 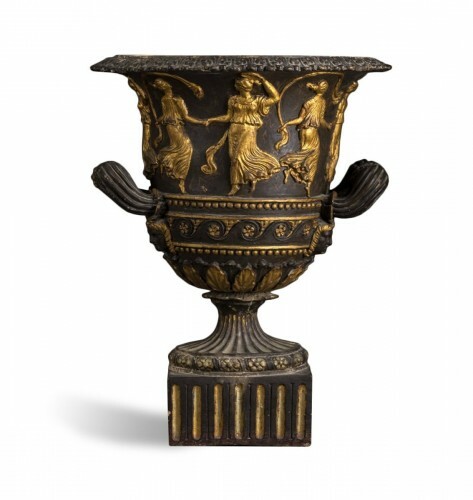 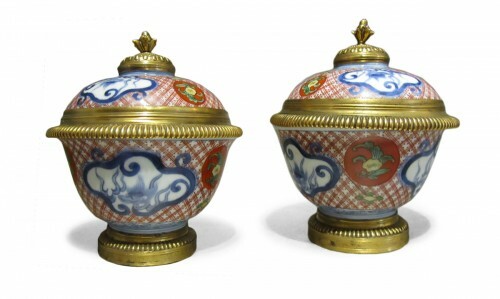 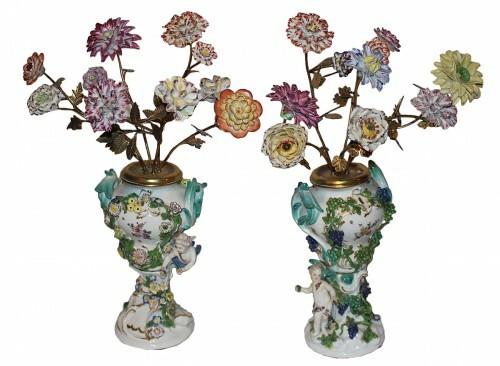 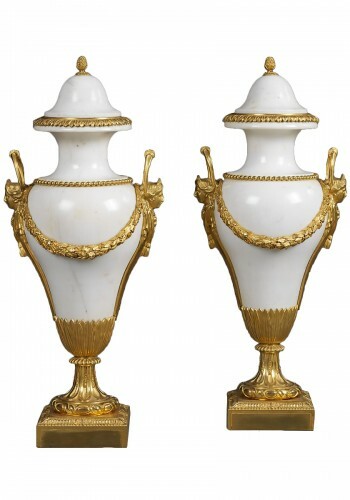 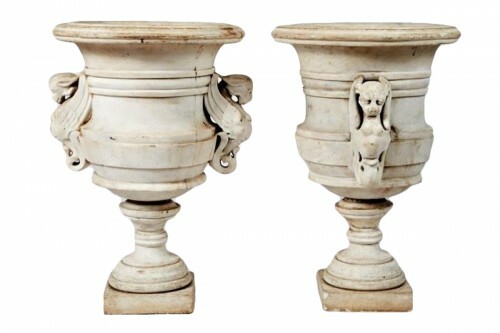 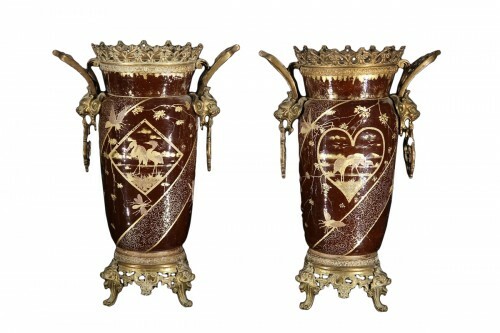 Late 19th C pair of vases in porcelain with bronze mounting. 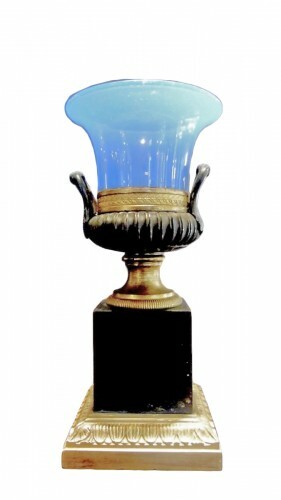 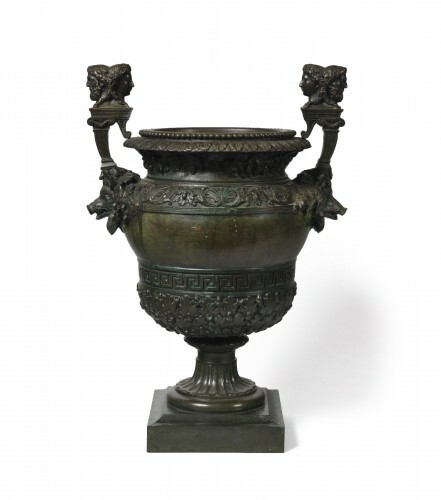 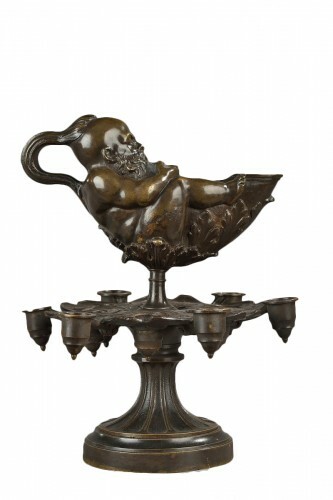 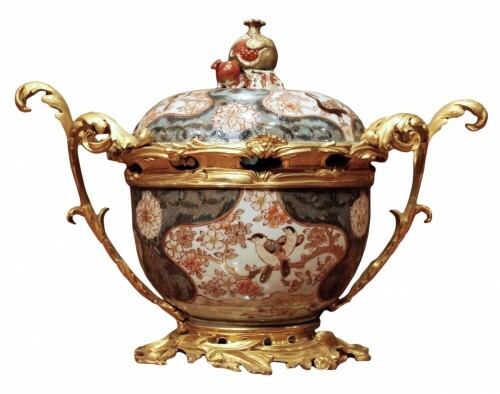 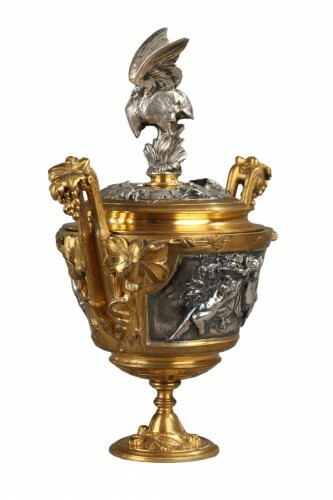 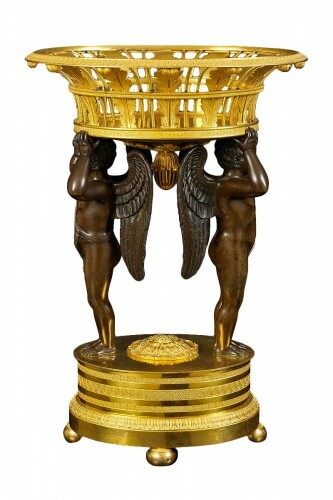 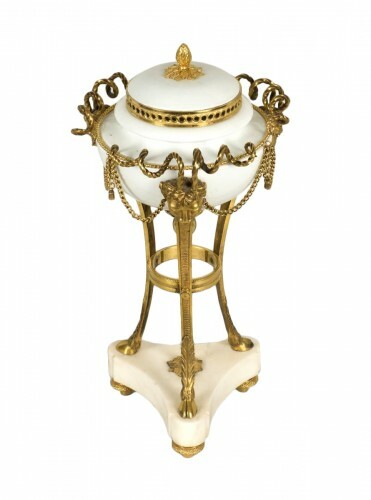 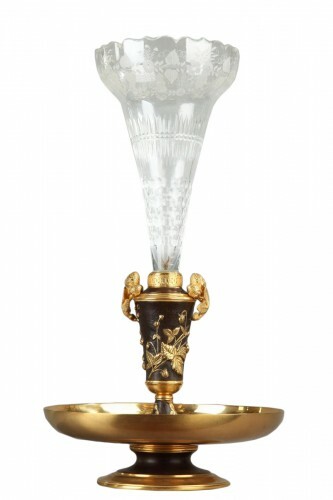 19th c. oil lamp to the "lying spirit"